The SBD 6-strand “Ultra” High Performance is built with BCY D-10, which is 100% dyneema. (SK-78), it is 20% stronger than SK-75(Dyna Flight 97), high in abrasion resistance and has less creep. The SBD 6-strand "Ultra" was designed and tested to give the traditional bow hunter shooting lighter poundage bows 50lbs and under the ultimate increase in speed and quiet performance. This string can be used on any bow that is 50 pounds or under at the shooters draw length and will make any bow SBD quiet. In addition to the string being deadly quiet, it makes the lighter poundage bows smoke an arrow. 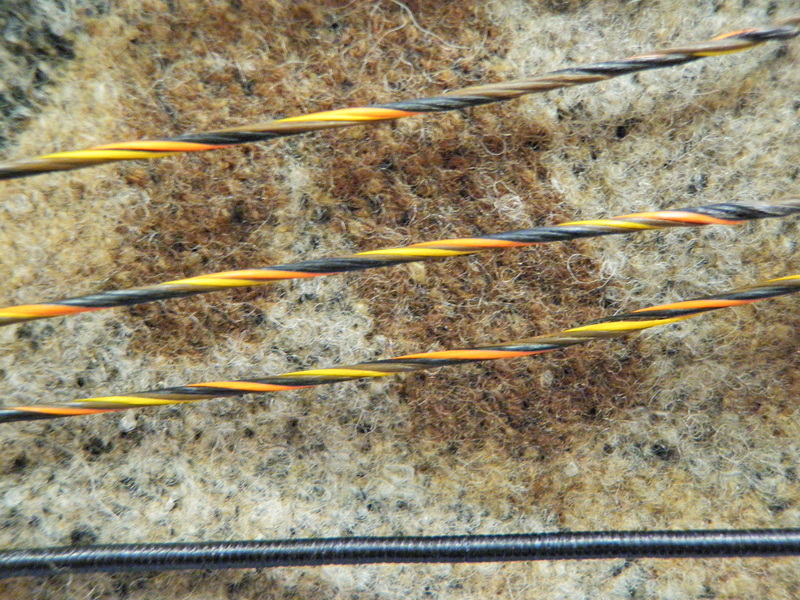 Test results have shown that the SBD “Ultra” string can increase a bow’s speed more than your current string. As with all SBD strings, the loops are tapered padded but extra B-50 Dacron padding is added into the 6-strand “Ultra”. The SBD Ultra string should only be used on bows lighter than 50 pounds at maximum draw and bows that are fast flight approved. SBD Ultra High Performance strings are available in Psycho Hunter colors only. The colors are black, brown, yellow, and orange.